When you start carrying you’ll think your handgun sticks out, constantly drawing eyes your way. Once you’ve carried for a week or two, the feeling that everyone is warily watching you will subside. Unless you’re carrying a larger pistol or wearing tight-fitting shirts, your gun won’t stick through and alert those around you. If you need a bit of reassurance to ease your mind, throw on a zip-up hoodie or light jacket for extra coverage until you get used to the feeling of having your gun on your hip. Just remember, avoid tight-fitting apparel and do a spot-check in the mirror before you head out the door. It really is that easy. Another thing you might not be told in your carry course is the strong sense of attachment that you’ll develop. 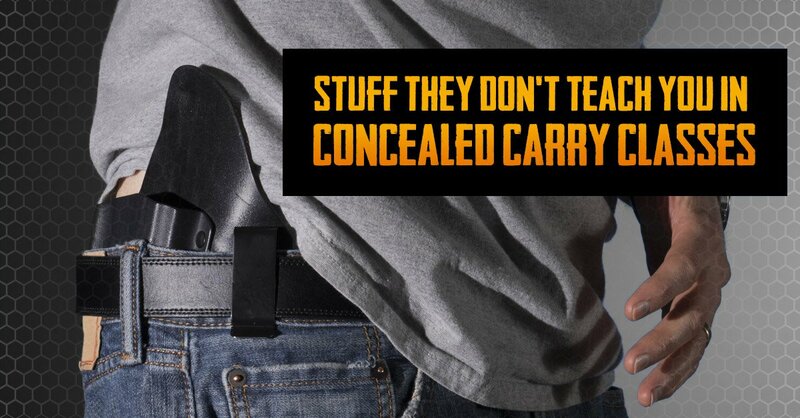 Assuming you stick with carrying, you’ll soon find it odd and uncomfortable to not have your carry pistol on you. It just won’t feel right. You’ll experience a feeling of emptiness where your pistol would normally sit. By entering into the world of daily carry you’ve just upped your sense of independence, confidence, and responsibility. You’ve equipped yourself with the tools necessary to protect yourself and your loved ones. This, of course, requires significant responsibility and discerning judgment on your part.